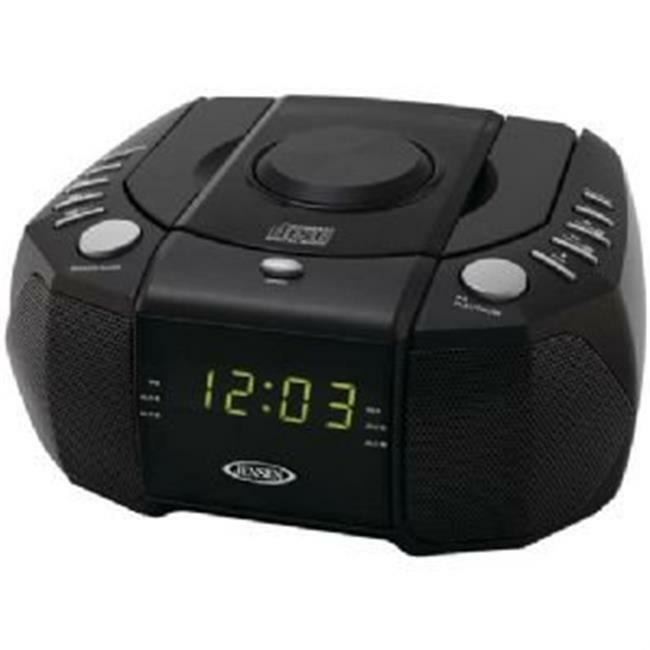 The JCR-310 Dual Alarm Clock AM/FM Stereo Radio with Top-Loading CD Player will make a perfect addition to an office, bedroom or any space that would benefit from an alarm clock and your favorite music. The CD player is CD-R/RW compatible and features skip, search, forward and back, and you can also listen to your digital audio player via the aux-input jack. The AM/FM stereo features 20 station presets. The clock has dual alarm, sleep and snooze. You can wake to radio, CD or alarm.